Footprints Under the Pines chronicles one woman’s loss of home and family and her ensuing struggle for security and survival for herself and her children in an unforgiving wilderness, where women were few and law was almost non-existent. “Miller’s graphic depictions of life in Northern Michigan’s lumbering era make you almost wish you were there,” said reviewer Curtis Alexander, “until the tall load falls and everyone runs for their lives, or someone is sick and the medical establishment has yet to be established, or a little girl … Oops, I’d better not go there, but you should … (Alexander is editor of the magazine, “Missionary Church Today.”) Review by Joyce Minor, Columnist for Highlands Today, local supplement of Tampa Tribune. About the Author: Now living in Avon Park, Florida, Dawn Batterbee Miller hales from Mancelona, Michigan——logging country. A motherless child, tossed from home to home and having dropped out of school at age 15; Miller raised 5 children, received her GED and went to college. She was awarded a Bachelor’s Degree and two Master’s Degrees (education and communication) from Michigan State University. After teaching for 24 years, Miller turned to writing as a second career. 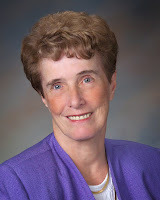 She has written 2 books, God’s Family Tree, published by Church Growth Institute, and Footprints Under the Pines, published by Winepress Publications. She has been published world wide by many periodicals, such as World Vision, Guideposts and Focus on the Family. 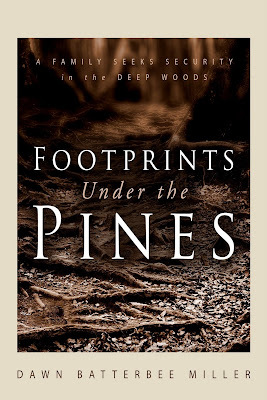 Footprints Under the Pines may be purchased on http://amazon.com/, http://christianbook.com/, or ordered from your local bookstore. A signed copy may be purchased at http://www.dawncreations.net/.